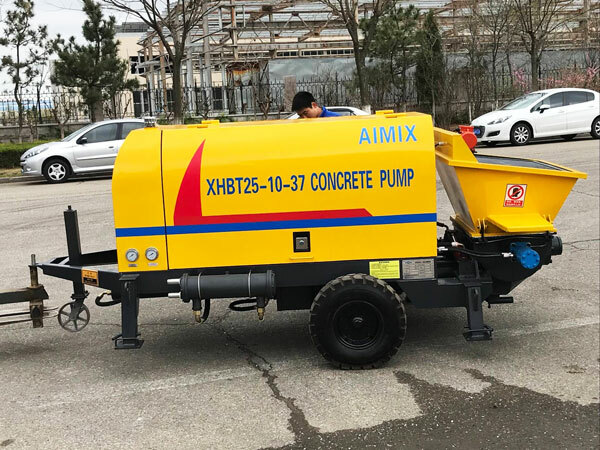 XHBT25-10-37 Electric Concrete Pump Russia Has Been Ready Aimix Group Construction Equipment Co., Ltd.
Good news! 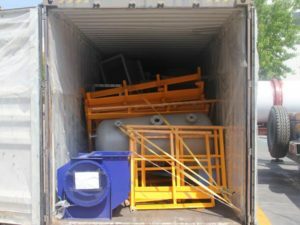 Our electric concrete pump was going to Russia. Russia as one of the most important market for us, there are many customers bought from us, actually we have exported many machines to Russia. 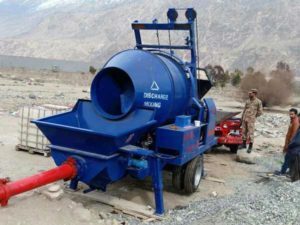 Such as, concrete mixer pump, self loading concrete mixer, concrete batching plant, asphalt mixing plant, etc. And aslo we have established long-term business relationship with them. 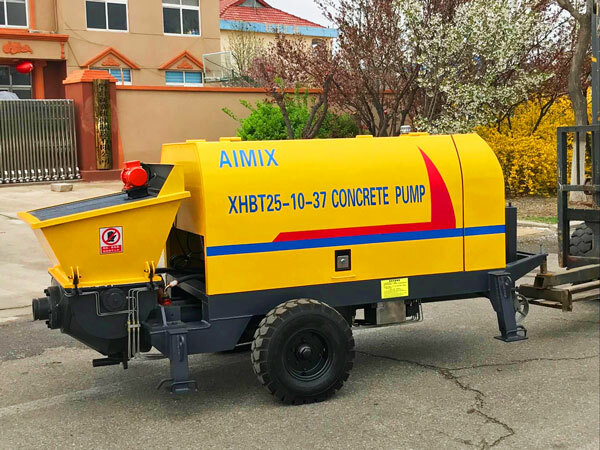 This XHBT25 electric concrete pump is a small concrete pump, suitable for small and medium-sized project. 1. This electric concrete pump for sale must be put on a flat and harden ground. 2. When the operator stop the machine, before relif the pressure, do not open the clamp, hands off from the screen. 3. 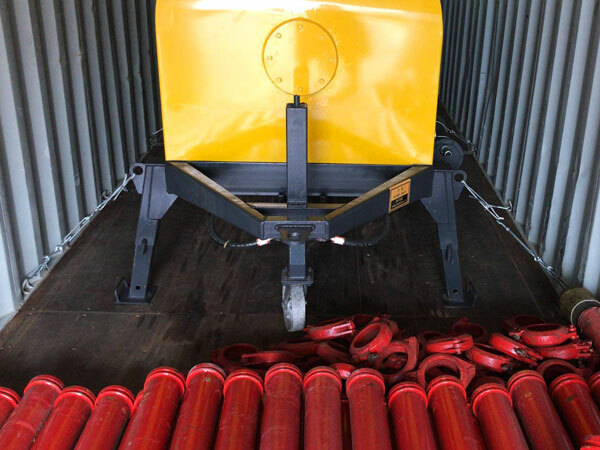 When pumping concrete for delivery, the operator can’t leave the machine, should observe the concrete quality in time, and check whether hydraulic system can work normally. 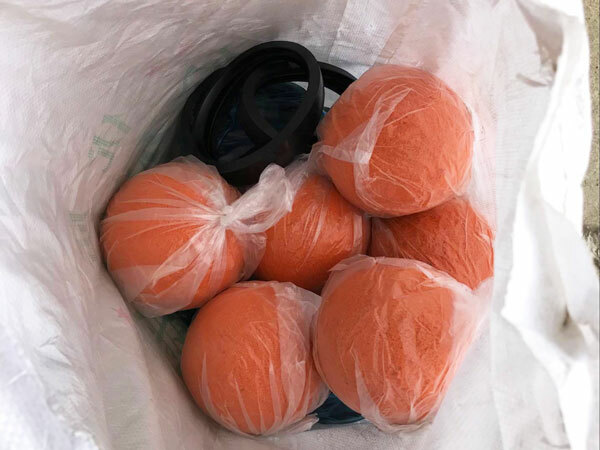 4.Pipes and clamps within 3 meter should be changed regularly. We also sell diesel concrete pump, which is driven by diesel engine, compare with electric type, it is suitable for areas where lack electricity. 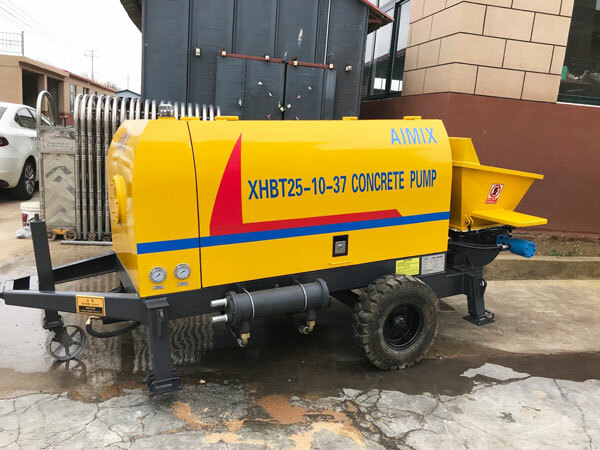 You can learn more: https://aimixgroup.com/diesel-concrete-pump/.